Bundled in my stylish plaid dressing gown, I climbed to the top deck of our house first thing this morning to participate in the annual Great Backyard Bird Count. As I surveyed a sea of fog, things did not look promising. A pale February morning sunrise. I could hear a lot of frantic crow activity, although it was hard to see where it was coming from, or what was causing it. 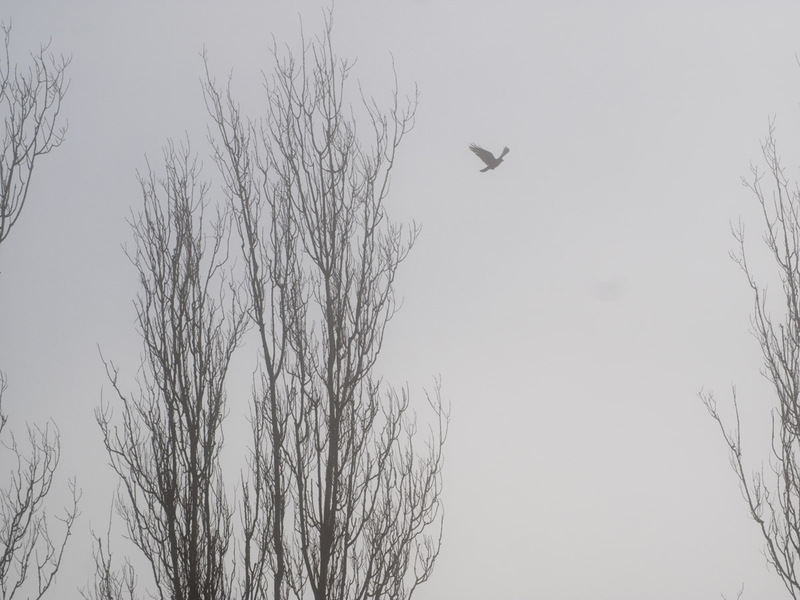 Suddenly a raven burst out of the fog into a patch of blue sky directly above me and, just as suddenly, disappeared — followed by his retinue of angry crows. I could hear the chase continue in the distance – to the west, then north, then off to the east – all hidden by thick mist. 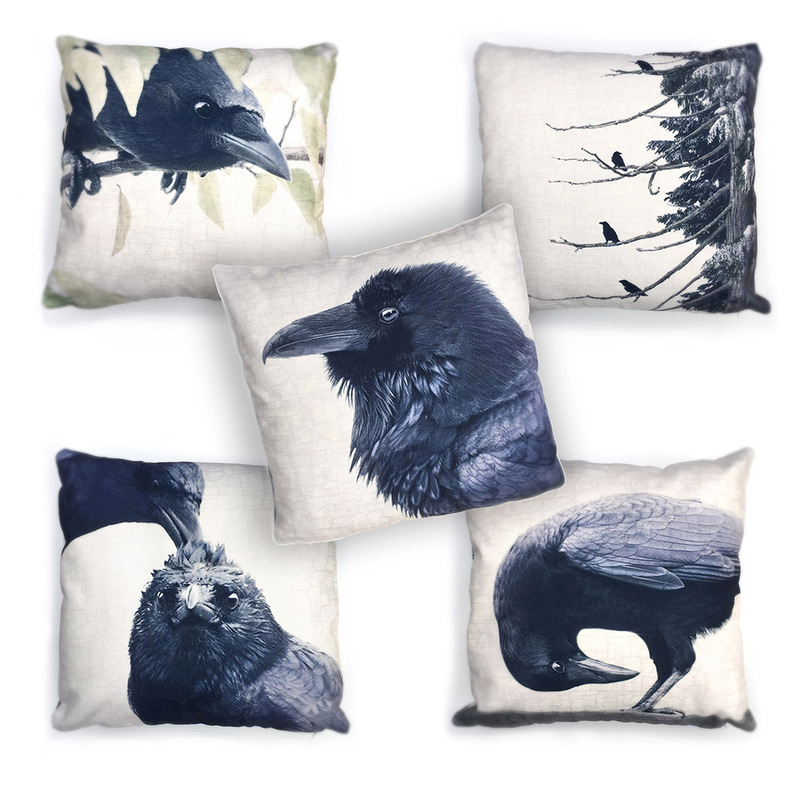 Sentry crows called from vantage points all around, offering helpful advice to the chasing committee. 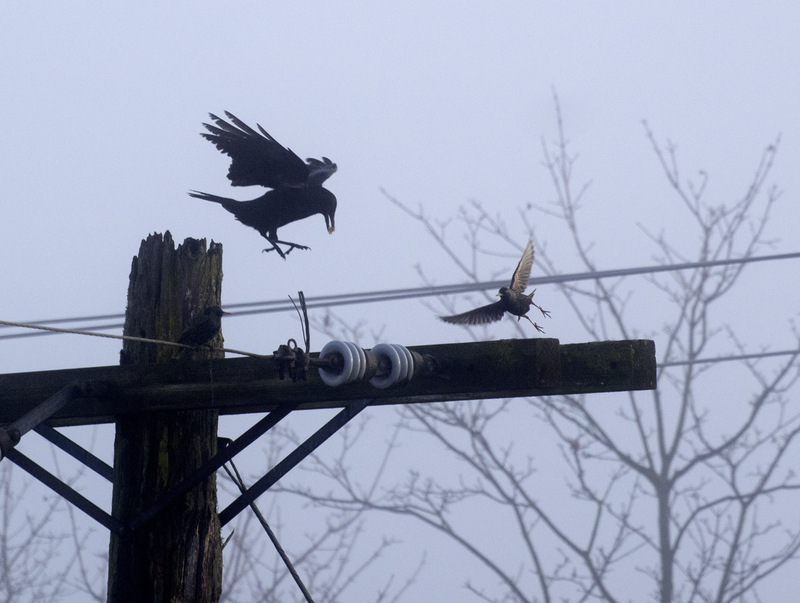 A crow bursts out of the fog in pursuit of a raven. 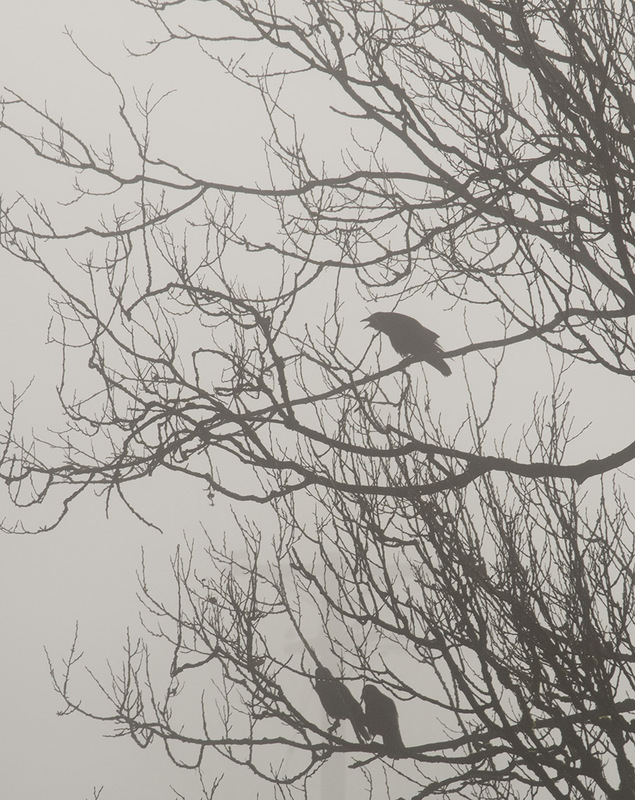 A group of crow sentries in the lombardy poplars. One of the crows decided it was time for breakfast, landing on the hydro pole with a snack in beak – forcing a quick exit by the pole’s previous tenant, a starling. While the foghorns continued their mournful calling down by the Second Narrows, all of a sudden it was a full-on scorcher where I was. 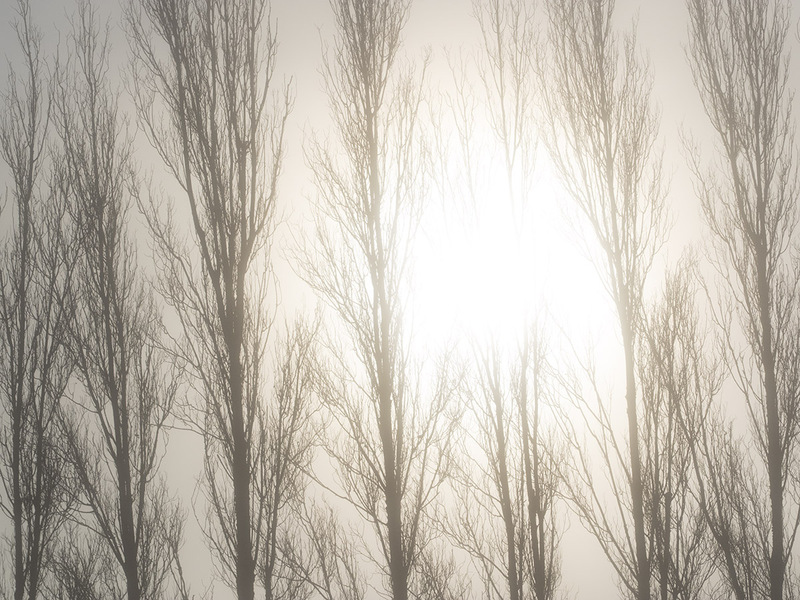 There had been a clear winner in the sun vs. fog battle. 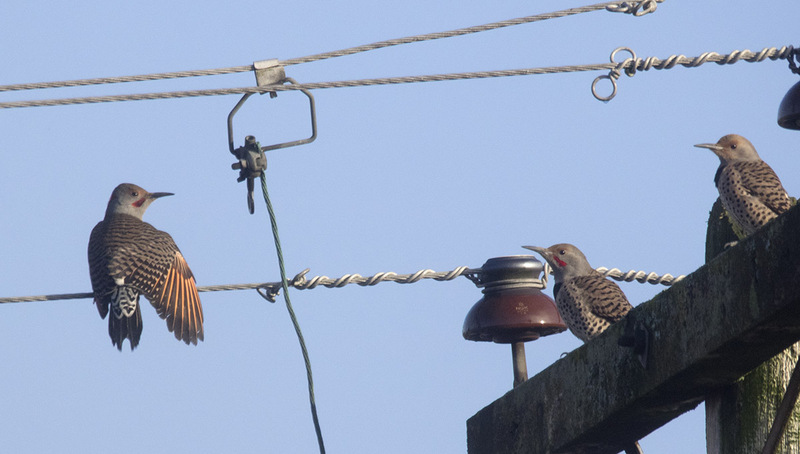 The northern flickers I’d been hearing came into view, landing on the hydro wires in the alley. The family of three was clearly enjoying the sudden warmth. One of the flickers luxuriantly spread a wing to soak up the sun – or perhaps he was just showing off his finery to the others. 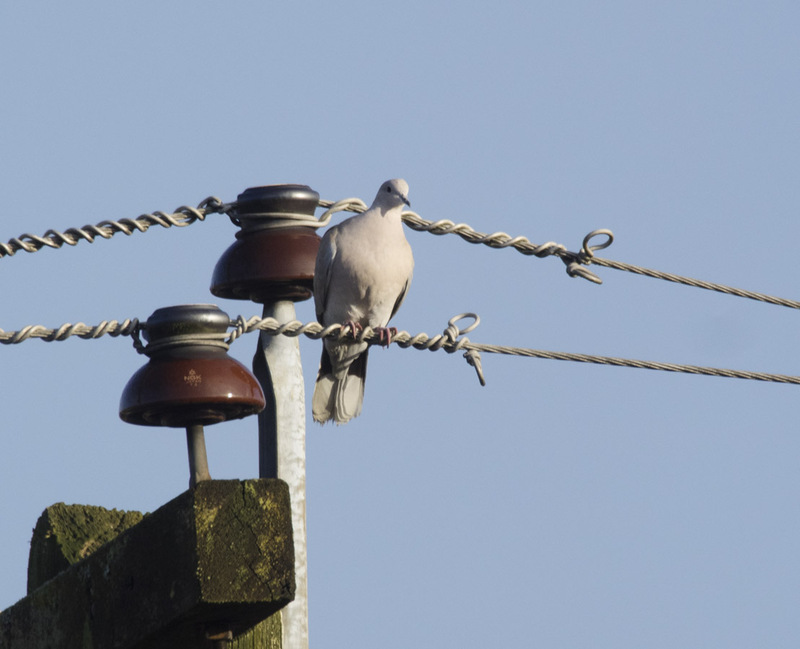 The flickers flew off and were quickly replaced by another sun worshipper — the collared dove that I’d heard eerily hooting in the fog earlier. The lilac in the garden was full of the usual suspects – house sparrows, song sparrows and chickadees. 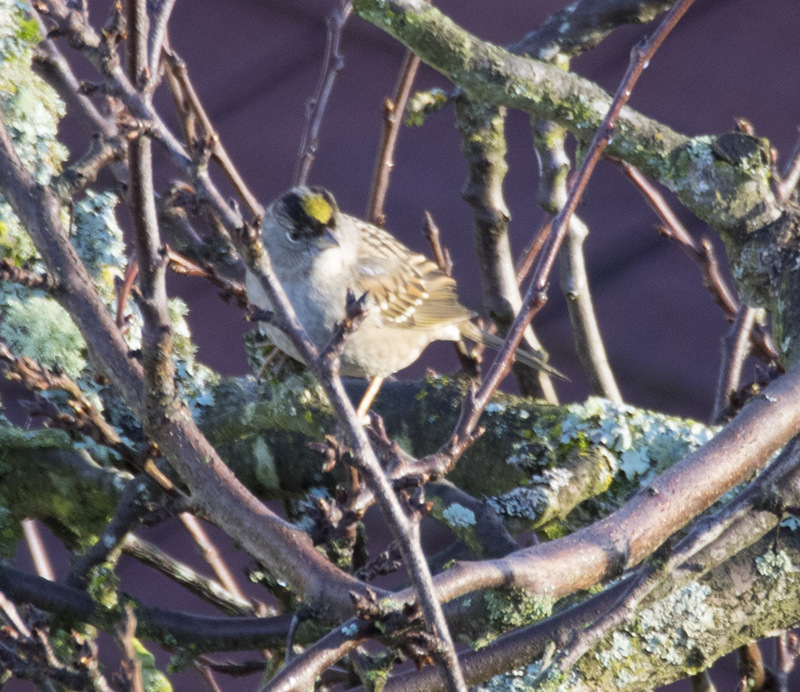 I even spotted the first golden crowned sparrow of the spring in our neighbour’s plum tree. Eventually I was so hot I had to come inside – another first for the season. 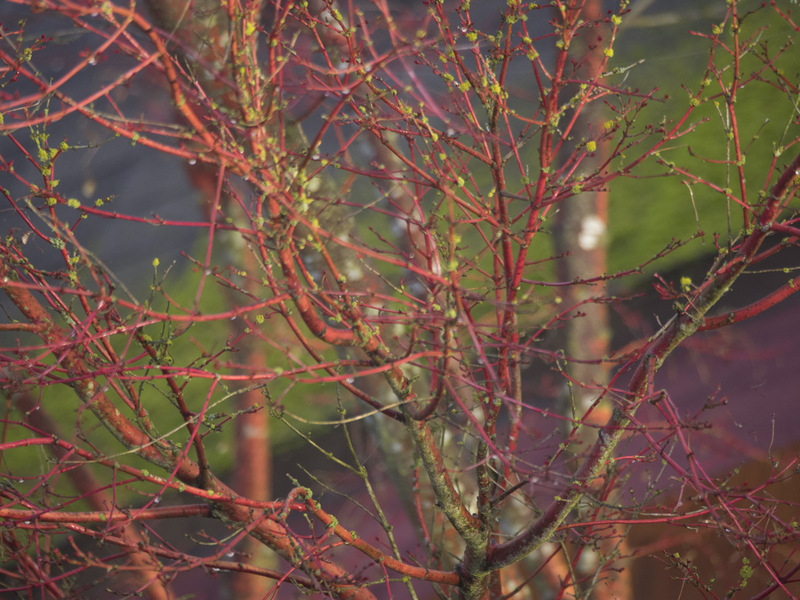 The sun lights up the scarlet coral bark maple and the lime green moss on the studio roof. Turned out to be a perfect morning the great backyard bird count. Not too late if you haven’t done yours yet. Sounds like a perfect day, Kristine! The flickers are really amazing. I can’t get over thinking that they seem more like birds you’d see in the Amazon, rather than on a hydro pole in East Van!